Far from being illegitimate, the ICC has been a critical mechanism for securing accountability and justice since its inception two decades ago. While it has had its challenges, the court is not known to have ever prosecuted cases unjustly. Nevertheless, in his speech, Bolton cited specific measures that the administration would take if the ICC were to pursue actions against the United States and Israel, including banning ICC judges and prosecutors from entering the United States, sanctioning their funds in the United States, and prosecuting them in the U.S. criminal system—although for what crimes is unclear. He also threatened similar actions against any nation or company that assists the ICC in any investigations of Americans. Such threats mirror President Trump’s own reckless attacks on the U.S. judiciary and international norms. Furthermore, they constitute a rejection of the ICC’s right to exist, despite the fact that the Rome Statue, which established the court, has been ratified by 123 countries from all regions of the world. During his time in the George W. Bush administration, Bolton spearheaded attempts to undermine the ICC, convincing Bush to “unsign” the Rome Statute and successfully pushing for the passage of the American Servicemembers’ Protection Act of 2002 (ASPA), also known as the Hague Invasion Act. The ASPA authorizes the United States to use military force to free any American citizen or U.S.-allied citizen being held by the ICC. It also limits the U.S. government’s cooperation with the ICC and requires all ICC signatory states to enter into bilateral agreements with the United States guaranteeing that they will not extradite American citizens to the court. While the ASPA has been amended over the years—including the repeal of a provision that withdrew U.S. military aid from nations who refused to sign a bilateral agreement with the United States—it continues to curtail U.S. cooperation with the ICC. Bolton also dismissed the court’s founding principle of complementarity—whereby the court will only exercise its jurisdiction when national legal systems are unwilling or unable to do so themselves—thereby implying that the court would seek to prosecute U.S. citizens unjustly. 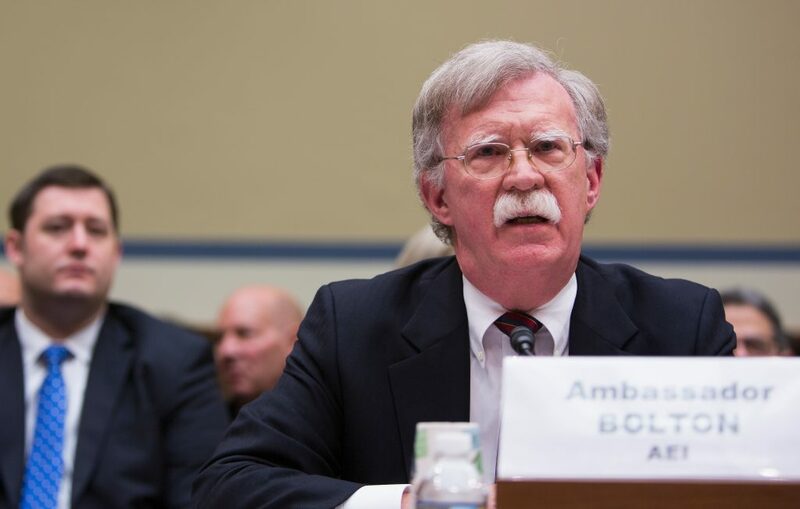 But the ICC cannot, and has shown no inclination to, exercise its jurisdiction when a state has been able and willing to do so itself—and Bolton is unlikely to argue that the United States is unwilling or unable to exercise its judicial authority over its own citizens. As such, it is highly doubtful that the court’s investigation of the situation in Afghanistan would conclude with the indictment of any American citizen. It is possible to offer critiques of the ICC without undermining its right to exist. The court is an imperfect institution, and there have been a number of reasonable critiques against it, such as its disproportionate focus on Africa—to date, only African defendants have appeared before the court. Yet it is a necessary institution—one that provides accountability and justice for victims of the world’s worst crimes. The United States was integral to the ICC’s creation, and though its interactions with the court have been limited, there is still bipartisan support for the court’s pursuit of international justice and accountability in the face of unspeakable atrocities around the world. By taking aim at the ICC—and by extension, the international justice system and multilateralism writ large—the Trump administration is aligning itself with the world’s autocrats and war criminals. Such an attack signals that the U.S. government will continue to disregard the nation’s values, as well as curtail its commitments to human rights, the rule of law, and atrocity prevention. The Trump administration is abdicating a much-needed tool for future accountability against the very regimes and crimes it claims to oppose, such as the Assad regime in Syria and the atrocities being carried out against the Rohingya in Myanmar. This is a fact Bolton would do well to remember. Carolyn Kenney is a senior policy analyst for National Security and International Policy at the Center for American Progress.